As an Institute of Leadership & Management (ILM) Centre we provide a wide range of Advanced Management Apprenticeships to meet the needs of practising and aspiring team leaders, first line, middle and senior managers. The key features of all ILM qualifications are flexibility and an emphasis on bringing tangible benefits to both individuals and their organisations. NVQ and VRQ qualifications are available at all levels. 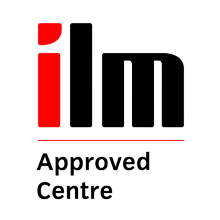 The following video explains some of the benefit of undertaking a ILM management qualifications. Learn more about the Institute of Leadership & Management (ILM).